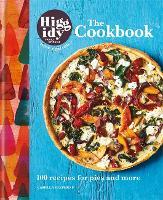 Christmas has arrived at Foyles and as always we are keeping the doors open just a little later than usual with some very special treats to keep you warm whilst you browse the store—brought to you by The Higgidy Cookbook. In the updated edition of their debut cookbook, co-founder and chief pie maker Camilla Stephens ventures beyond pastry with new recipes for healthy and delicious frittatas and more. With Camilla’s expert guidance and fool-proof pastry techniques, this is a wonderful source of heart-warming recipes for family and friends over the festive period and beyond. Treats from Higgidy along with mulled cider will be served from 7pm until we’ve run out! Tickets: No reservation necessary, simply stop by the stall on the Ground Floor!